Speech delay can sometimes be simple and unexplained and will resolve itself over time. Other times, the delay can be an indicator of a more serious issue, according to experts. When we have kids, many of our precious memories of them are coloured by milestones — their first smile, their first steps, their first words and so on. What do you do though, when one of those milestones is delayed or doesn’t happen? I’m talking in particular about speech as this is something I can relate to with my older son. While he was saying single words such as ‘Mum’, ‘give’, and ‘come’ a little over the age of one, most of his ‘talk’ for a very long time was ‘baby-talk’. I was worried when by almost 2 years old, he still wasn’t speaking properly. Some of my friends/relatives told me there was absolutely nothing to worry about, that boys are notoriously late in speaking. Others told me to seek the opinion of a doctor, or even show him to a speech pathologist. I’m glad to say that he really didn’t have any other issues besides the fact that he just took his own time to talk. Now he is 5 and doesn’t stop talking! But I do remember the time when I was very worried about his speech, and in retrospect, perhaps I could have stopped worrying had I got the opinion of a speech pathologist. Like in the case of my son, a speech delay can sometimes be simple and unexplained and will resolve itself over time. Other times, the delay can be an indicator of a more serious issue, according to experts. Because different children develop their speech at different paces and at different times, it’s hard for parents to judge if their child really has a delay. This is when a professional such as a speech pathologist can help. A delay in talking is often no cause for worry. But since it can possibly be a red flag for problems such as ear infection, autism etc, it’s best to check with your pediatrician or a speech therapist if you are worried. 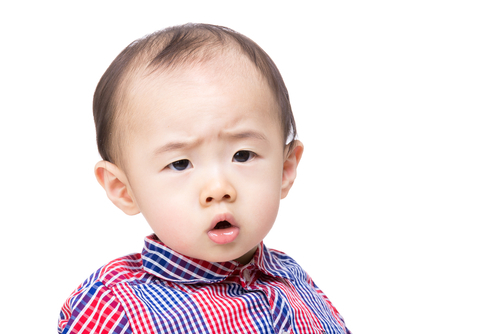 So we talked to the lovely Joan Lim and Sheryl Lau — both qualified speech pathologists –about late talkers and speech delay. What you need to know is on the next page. Joan and Sheryl work for Therapy Inc., a Singaporean company that provides multidisciplinary services to families and individuals seeking speech therapy, occupational therapy and educational support. We asked them a few questions about speech delay and late talkers and the following (which has been edited for clarity and brevity) includes the information they provided. A child will usually say his first word around his first birthday. Common first words include, “mummy'”, “daddy”, and “milk”, although “NO!” and “uh oh” may be included in this list too! 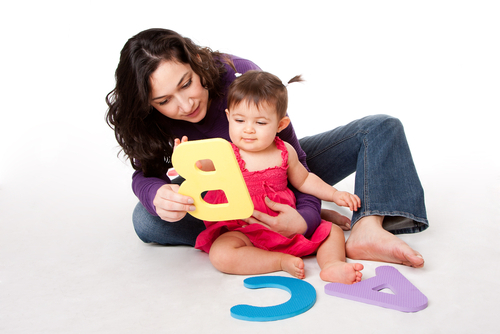 A child’s expressive vocabulary quickly grows to around 50 single words by 18 months of age. Is there a difference between a late talker and a child who has problems with speech? While late talkers and children with language disorders both start speaking late, a child without a language disorder (late talker) will usually “catch up” with their peers without any intervention. A child with a language problem, might always be behind his peers in language development and will definitely require intervention to prevent the gap from getting larger as he grows. Speech disorders (issues with pronunciation) can become apparent at any age and parents should consult a speech therapist to ascertain if the speech sound errors are age-appropriate. What are the characteristics of a late talker? 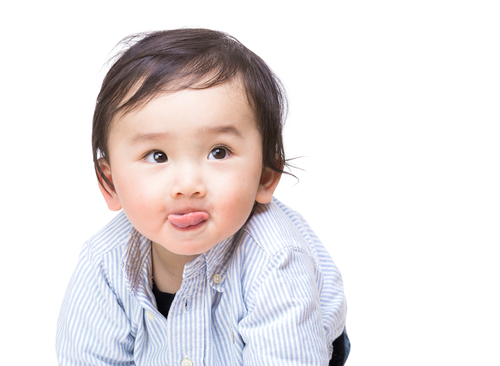 Late talkers may say their first word after 18 months of age. Also, they may start using phrases (speech and language development experts expect 2-word phrases, e.g., “no juice” at 2 years, 3-word phrases, e.g., “mummy take car” at 3 and so on) much later than expected, and they may appear to understand more than they say. They could also present with unintelligible or “baby-like” speech. It is important with all late talkers to make sure that they do acquire the expected developmental milestones after they start talking. Is it true that boys start talking later than girls? Yes it is true that in general, boys start talking later than girls. However, everyone is different and there are boys who start talking earlier than their sisters. Developmental disorders like speech and language disorders, autism and stuttering do tend to be more prevalent in boys. When should you be worried about your child’s speech delay? is only speaking in vowel sounds e.g. ah, ooh etc. If you are worried about your child’s speech delay, it’s best to seek a professional’s opinion. What can you do at home to encourage your child to talk? You could do things like giving your child his favourite treats or toys one at a time, so he has a chance to “ask for more”, practise turn-talking and other important communication skills. You could also pretend at times that you do not know what your child likes and dislikes (e.g., offering something your child does not like so he gets a chance to say “no”). Encourage your child to talk by handing over her favourite toys one at a time, encouraging her to ask for more. For example, you could show and say the name of a favourite toy, describe what you are doing (“Mummy is washing, WASH!”), ask a question (“Want up? up?”) and use fun words (“uh oh!”, “wow” etc.). There are great baby sign books and DVDs that you can purchase to learn more about this. Is speech delay a sign of other developmental disorders? 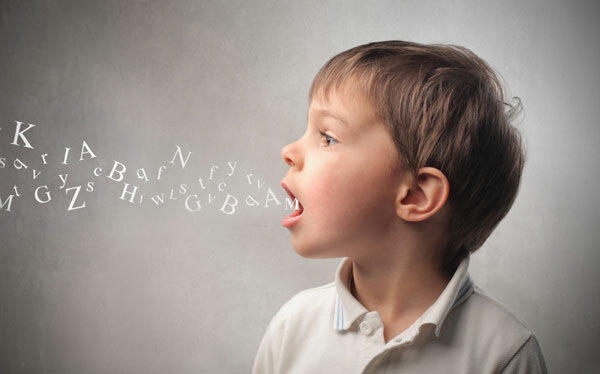 Speech delay could be a red flag for developmental problems disorders such as autism. However, do keep in mind that while almost all children with autism have a speech delay, not all children with a speech delay have autism. With autism affecting 1 in 88 children now, again it’s best not to wait if you have a concern about your child’s speech delay. If you are worried about your child’s speech delay, consult a professional like a speech therapist. Who can help your child if you think he has a problem with speech? If you think your child has a speech delay, contact your pediatrician or you could contact a speech therapist such as Joan or Sheryl directly. If there is nothing to worry about, these professionals can put your mind at ease, and if there is an issue, they can provide the best possible course of treatment. Another tip is to check with your child’s teacher (if they go to preschool/daycare) if they have noticed anything unusual about your child’s speech. Do you have a late talker, or was your child a late talker? Share you experiences with us by leaving a comment.